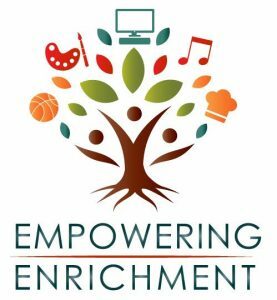 The Royle School PTO proudly sponsors the following Enrichment programming. For questions regarding Enrichment, please contact Beth Jacobs. Mar. 19 – Mar. 22 – Royle STEAM Week! – Details and registration to come! Be on the lookout for additional programs! It was a STEM-tastic week at Royle! The Darien High School students came to the Royle School to work with the fourth and fifth-grade students in their classrooms on STEM projects. Fourth-grade students studied the Processes That Shape The Earth. After a discussion on the benefits and hazards of wind, the students were challenged to design and build a structure that would withstand a windstorm created by the DHS students. This hands-on activity demos started the concepts of structural engineering and aerodynamic design. Fifth grade was equally challenged while Exploring and Understanding Environmental Impact of Oil Spills. Through the simulation of an oil spill, students investigated oil spills and the environmental impact they have on shorelines and creatures. Students took on the task of cleaning up a simulated oil spill to decrease the environmental impact. Royle elementary K-5th graders enjoyed a performance from the interactive theater group, the Traveling Lantern at school today! The performance was a re-enactment of a Sherlock Holmes mystery, where audience members got to use their “deductive reasoning” to solve a crime! The Royle first grade classes are mad for Mad Science! Students learned about the concept of Space Travel through hands-on experiments. All students tested the properties of rocket propulsion and thrust by racing balloon rockets filled with compressed air. They were also challenged to devise a balloon-powered rocket car and build a unique Space Copter to take home. For our grand finale, students witnessed a thrilling model rocket launch, and learn the meticulous preparations necessary to send up a rocket! High-Touch High-Tech presented Fun’omena for all 3rd grade classrooms at Royle School on Friday, January 11. During the 90 minute presentation, students learned about what causes phenomenons such as volcanoes, tsunamiphenomenons, hurricanes and more. They learned hands-on about air pressure and inversion and ended the session investigating materials that made slime! The Bruce Museum of Greenwich, CT brought the Animal Adaptations exhibit to the Royle Kindergarten classes. In this exciting, hands-on program, students explore how different body coverings, behaviors, colors and physical structures help vertebrates (mammals, birds, reptiles and fish) adapt to their environment, find food and escape from enemies. Utilizing objects from the Bruce Museum’s traveling taxidermy and touch collections this program allowed students to get hands on experience with animal adaptations. Travis from Macinspires visited Royle 5th graders to discuss digital photography. Students learned the main differences between analog and digital cameras. They also got the chance to show off their photography skills and creative minds by using iPads to do a classroom scavenger hunt. The Bruce Museum visited the Royle First Grade classes and taught the students all about how our local animals’ adaptation in every season to protect themselves from predators- both man and animal! The blowfish or pufferfish as some call it was a group favorite to touch with its spiked exterior. The students also found themselves laughing while sniffing a skunk pelt! Darien High School students worked with the Royle 2nd grade classes on an engineering challenge! Students were challenged to design and build a structure that would keep a dog dry and safe while outside in the backyard. While engaging in this process, students used evidence from their observations and tests to describe how the roof built for the doghouse is best suited for keeping him dry and safe in i climate weather. Through this process, students learned that the shape and stability of structures of designed objects are related to their function. It was a fun hands on activity for the both the DHS and Royle students alike! Students loved using the Dash and Dot robots to draw pictures, do an obstacle course, and play the Xylophone in the Wonder Workshop during STEAM Week. Through the use of coding, the Dash can do tons of fun things! All Royle students will gain exposure to the robots and their accessories in both library and music classrooms in the upcoming months! The Royle halls were filled with happy screaming and laughter as the Extreme Matter Assembly burst to life! Students experienced matter first hand as items liquids changed to gas and filled the Common Room! There was smoke, fire, dry ice and fun in this STEAM Week activity! Students proved Chemistry was fun in this action packed STEAM class as they built their own chromatography chamber and watched colors separate before their eyes! The Royle cafeteria was taken over by engineers in the making during STEAM Week! The students learned the basics of mechanical engineering and programming through building a LEGO vehicle and programming it to drive! Maker Madness continued with Fairytale STEM Adventures in the library! Students were challenged to creatively solve their favorite fairytale character’s problems in creative new ways. The futures of The Gingerbread Man, Little Red Riding Hood, The Three Little Pigs, and Goldilocks were all in capable hands with our Royle students!